Published 4th June 2015 by Walker Books. 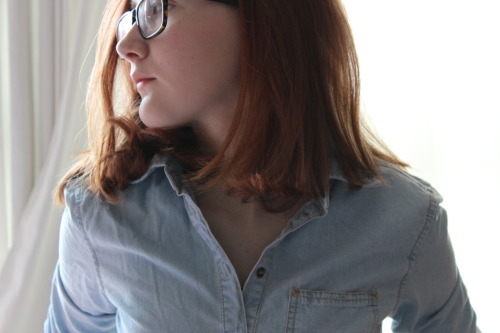 Goodreads Synopsis: From the author of Trouble comes a new novel about boys, bands and best mates. My Review: Non Pratt’s début novel, Trouble, was undoubtedly one of the best UKYA novels of last year. I was really looking forward to reading more from Non – and a book set at a music festival sounded pretty awesome! Remix is quite a quick read which was great for me, but the story was so complex and well written. It centres around two best friends, Ruby and Kaz, who tag along with Ruby’s brother and his boyfriend to a music festival – mainly to see their favourite band, Goldentone. From the first night, issues start to unfold. Unexpected people join them at the venue, and some pretty insane things happen – all over the course of a three-day camp. I really loved the protagonists – They were are well written as Non’s characters in Trouble were. Ruby and Kaz are both flawed and relatable characters who were just really fun to read about. That said, it did take me almost half of the book to actually understand the network of people – there isn’t a huge cast, but the dual narrative switches so quickly (literally every few paragraphs at some points) that I couldn’t keep track! The narratives of Kaz and Ruby were both well crafted, and I could really feel both girls’ voices – but they changed so quickly that I lost track of who-had-drama-with-who at points. The final pages of Remix will leave you in a bit of a daze – everything spirals into quite a shocking conclusion that completely stunned me. It feels like quite an abrupt ending – though it’s the kind of resolution that keeps the book in your head for days. 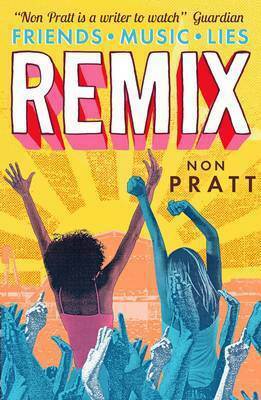 Overall, Remix was another great title from Non Pratt and I’m looking forward to her next book. It’s a perfect read if you’re looking for something short-ish – but one that is very eventful and emotional. I can’t stop thinking about the two best friends! I received a copy of Remix from the publisher, via LoveReading4Kids, in exchange for a review. In no way at all did this affect my thoughts. My Remix quote on LoveReading4Kids here! This entry was posted in Uncategorized and tagged 2015 release, contemporary, festival, fiction, music, non pratt, remix, trouble, walker books on June 10, 2015 by keithbwalters.